Our most recent obstacle, as we continue with our research of Harrisburg’s City Beautiful Project is designing a website to display our work. Since many of us are novices when it comes to creating any website, let alone an omeka.net site, we need to start with the basics. Even understanding basic terminology was a challenge; we are divided into groups who title an exhibit, we break those exhibits into sections, and add pages to each section. I will be working on the “Background” exhibit, in the section about the Capital, and I will include pages on the capitol building burning and the debate about whether to keep Harrisburg the capital of Pennsylvania or move it to Philadelphia. In addition, all of the items on your website can be organised into collections so that a viewer can search for an item that may or may not have been included in an exhibit. For example, if I put up a page about the capitol burning down and a user wants to see all of the photos that I have collected about that event they can search for it in my collections. We have also been experimenting with finding the best way to capture photographs: whether the camera on our iPhones is clear enough, or whether we should be using a digital SLR camera or scans of the pictures. Their difference in quality is definitely noticeable. 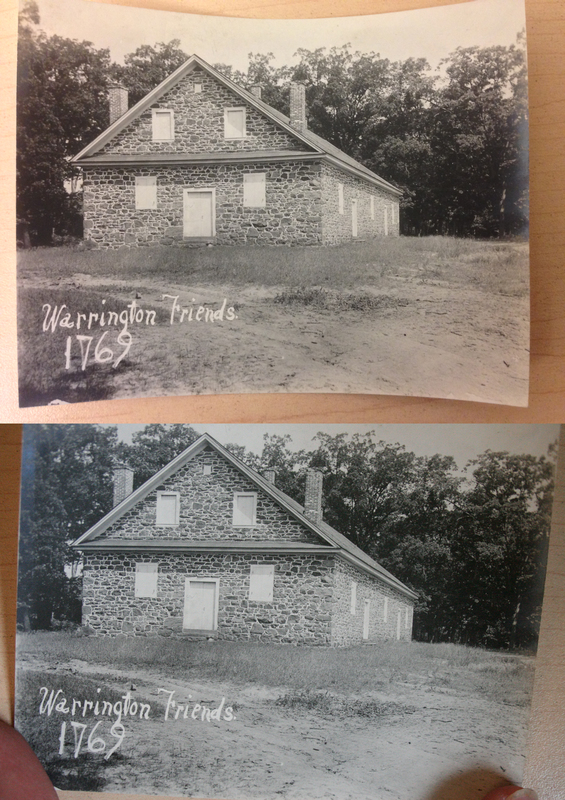 Pictures provided by the Ye Olde Sulfur Spa Historical Society. It is the small details like these that are often overlooked when embarking on a new project, and although they take some time to learn and seem a bit tedious, they become the back bone of your finished product. As far as our City Social project goes, we are slowly learning how to become experts at reading the census takers’ handwriting. We have all finished transcribing the information of at least two hundred names each (taken from the 1900 census that can be found on Ancestery.com), and I find it funny how much a few words and numbers can say about a person. I feel so connected to these people who are now just names on an old piece of paper. Just through what I’ve seen so far, I can imagine the life of Sarah Shehee who has been married exactly half of her life at this point. At seventeen she was wed to George and this poor young woman has given birth to nine children, only four of whom are still living. Being born and raised in Pennsylvania, she and her husband read, write, and speak English. Her husband’s occupation holds another point of interest; George is a puddler at an Iron Mill. When I first read this I thought that I was having difficulty discerning the handwriting, but after a little bit of research I discovered that this was the job of a skilled worker and the result was a more usable type of iron. The lives of people like George and Sarah may have been lost to time, but now their memory can be honored through this project.